We are 100+ geeks, designers, mentors and eco-hackers. 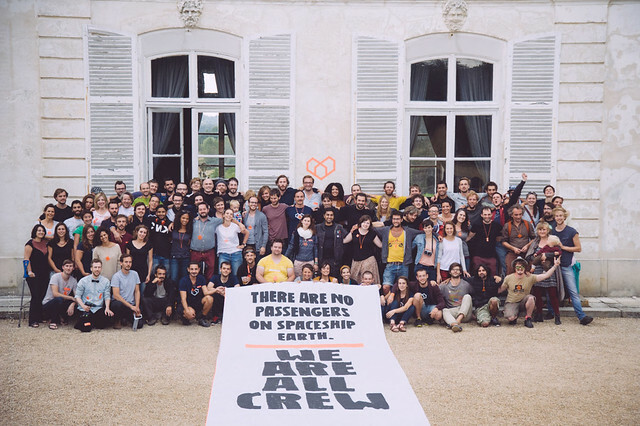 In 2015, we gathered at the POC21 Innovation Camp to prototype tools for a fossil free, zero-waste society. We created a Proof of Concept--moving from protest to prototypes. The aim: make open source sustainable products the new normal. Over 5 weeks we developed 12 sustainable lifestyle technologies and built an international community of innovators and supporters. Together we created self-filtering showers, portable solar power systems, micro-agriculture tools and wind turbines. 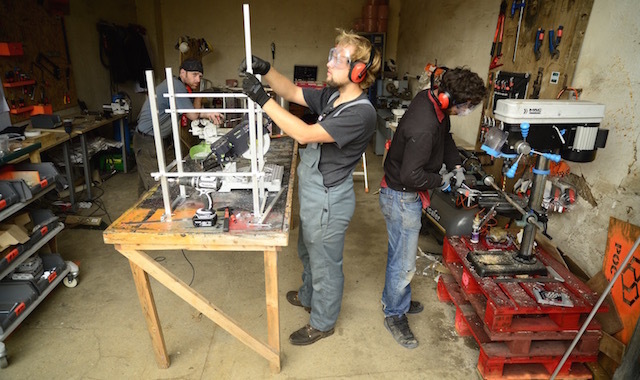 We cooked locally grown food, pooped in dry composting toilets, and powered up on solar energy. We combined the open source and environmental movements into one force for the first time. We have shown we can create incredible, sustainable technology together. We need to keep making this technology...without the banks. We're asking you to become a patron of the open source sustainability movement. All monies will be distributed democratically to help our common efforts using CoBudget, a tool developed by POC21 attendees. A small donation can make a huge difference for this community. This is an opportunity to help answer climate change with grassroots citizen action. Please become a patron and help us make the tools we want for the world we need. Every cent contributed on Patreon goes towards supporting POC21 projects. With $500 per month, we can help develop new prototypes, buy tools, fund exhibitions, film and edit regular content to promote 12 great Open Source Hardware projects solving environmental and social issues.